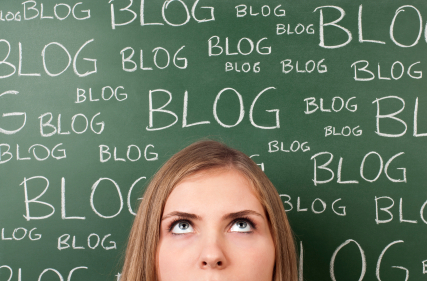 Is it stressful to think up new post ideas for your real estate blog? Don’t fret! We’ve compiled a list of 10 great ideas your clients will love. Writing a post for each of these topics will help beef up your blog with some wonderfully useful information, and help establish you as a great real estate resource. It takes a true “people person” to be a great real estate agent. Tell your clients why you chose this path. Perhaps you're a star negotiator, or maybe you have a photographer on staff. Brainstorm ways working with you is a good financial choice and share your thoughts! Imagine you’re headed to a listing appointment. What are some questions your prospective clients should ask to make sure you’re the right agent for them? Highlight some great streets in your neighborhood or city, and make sure to include a photo for each one! Show buyers they can be part of your marketing team by sharing the single property site and other marketing materials you create with their online social circles. Is it relying too heavily on a friend’s referral, or going with Uncle Joe because he’s family? Tell clients what you believe is a common pitfall, and how to avoid it. Help relieve showing stress for sellers by giving them practical advice for keeping their kitchen (or other highly-trafficked areas of their home) functional and organized. What are your city’s greatest attributes? Time to boast like a proud parent and give a glowing review for buyers who may be interested in relocation. Help improve your listing’s curb appeal with advice to sellers about accessorizing the entryway. Write one for each season to make sure your sellers are always prepared. Moving is stressful- give your clients a hand with a great checklist that covers the entire process from start to finish. Don't forget to include great images with each post, and share them on your social channels. Tweeting a link, sharing the image on Pinterest, and linking to your post in a Facebook status will help your great information reach a wider audience, and will help you get noticed! Make sure you're also posting about areas of your expertise and local businesses, as well. Keeping your real estate blog updated can be tricky when you have a busy schedule, but each post helps to enhance your Internet presence and build a positive reputation for you online. These post ideas will give your blog a powerful jumpstart, so have fun with them! Need a blog? Your ePropertySites account comes with a free one! Go to the Blogging tab> My Blog to get started.